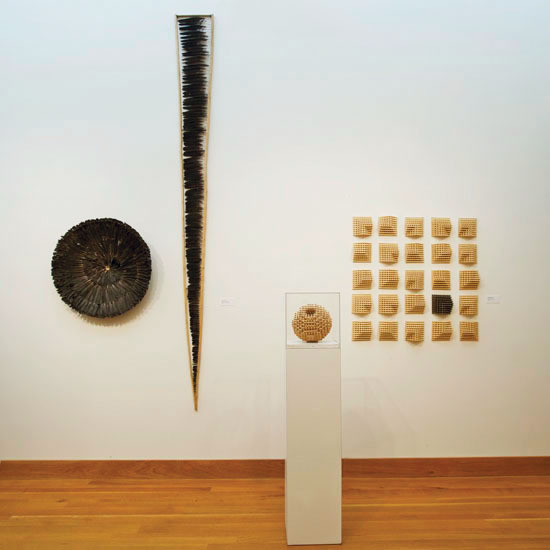 There are just two weeks left to see the exhibition Green from the Get Go: International Contemporary Basketmakers at the Wayne Art Center in Pennsylvania. 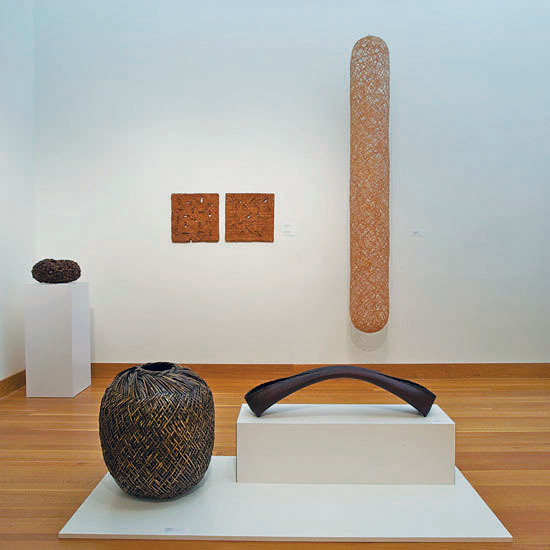 The Ethel Sergeant Clark Smith Gallery, where the exhibition is hung, is an attractive space with high walls and ceilings. The installation is exciting — if we do say so ourselves – with work displayed on and off the floor and hung from the ceiling. But don’t just take our word for it. On philly.com, Victoria Donahoe of the Philadelphia Inquirer called Green from the Get Go “superb” and “[a]bsolutely must-see.” handmadeinpa.net calls it “a mind-bending (and fiber bending) exhibition of out-of-this-world baskets.” And visitors have been kind enough to write us: “Beautiful exhibit, both the artwork of course and the installation;” “…some of the work took my breath away;” “Thank you for putting together with Jane Milosch such a stimulating exhibition.” Green from the Get Go features more than 50 works by 28 artists. 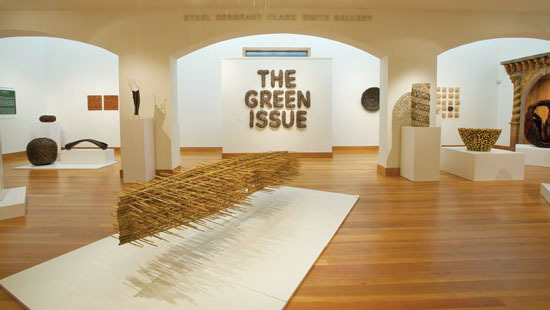 Through January 21st: Wayne Art Center, 413 maplewood Avenue, Wayne, PA 19087, 610-688-3553; http://www.wayneart.org/exhibition/green-from-the-get-go-international-contemporary-basketmakers.